Clearly these figures give a less than wholly accurate picture. why not refer them to the UK Statistics Authority ? It is a crime at common law for a public official, a person entrutsted with an official situation of trust, wilfully to neglect his duty, even where no question of danger to the public or to any person is involved." Gordon, Criminal Law, 3rd Ed. Vol. II Chapter 44. q.v. It really is about time the SNP were properly held to account. On the other hand if one is not blinded by a burning wish to expose what isn't there in the first place, it might occur to one that when projecting figures for 3 years into the future, along with current year and previous year, against a baseline, it's usually a lot less confusing if you pick just 1 baseline year, than 5 baseline years. A total of 6 columns to make a comparison, rather than 10 to make the eyes go fuzzy. But where would we be without conspiracies? And theorists? I think yet again Kevin you have demonstrated that the SNP are masters of spin. It would be really nice if the Scottish Government would just be honest with us. 1. Why is 2010-11 there but not the other years prior to 2015-16? Perhaps to show the real terms effects since the election of the Westminster Coalition government? That seems to me to be a reasonable base year, at least on a political justification. 2. Why are there no year-on-year percentage changes shown, only cumulative? There will be ups and downs. 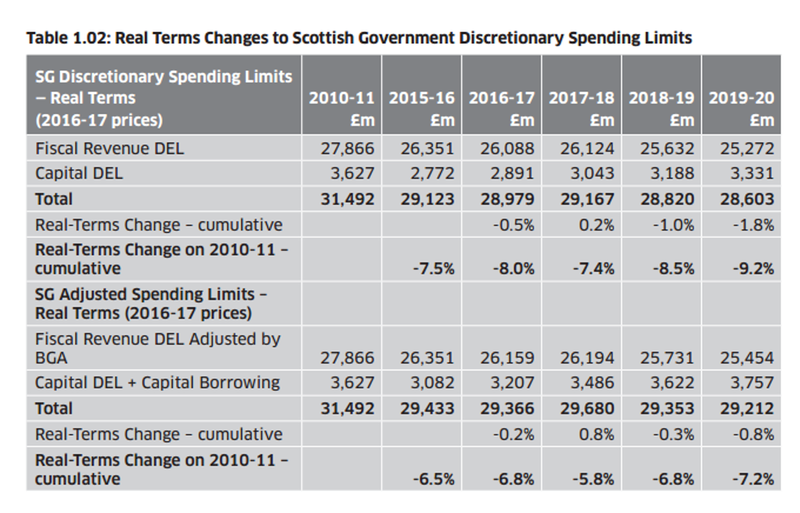 Indeed John McLaren showed prior to the 2014 referendum that the cuts that Scotland faced were to some extent back end weighted (ie for some inexplicable reason a disproportionate level of cuts only came after the referendum - strange that innit? 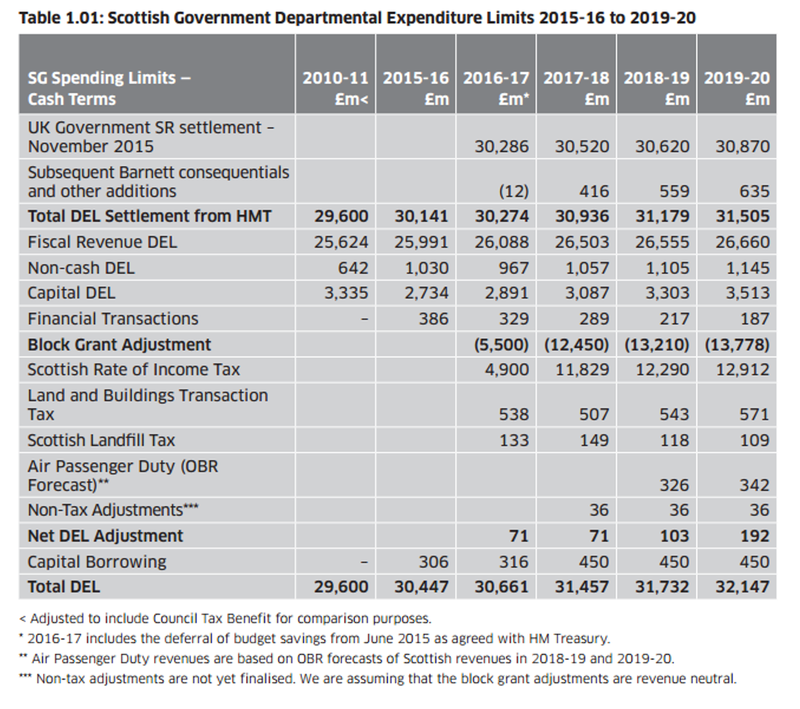 See http://fiscalaffairsscotland.co.uk/wp-content/uploads/2014/11/Long-term-Scottish-budget-projections.pdf). But the fact is that none of them - apart from 10/11 - saw a change of government and thus potentially a change of policy. 3. Why are 2010-11 and 2015-16 chosen as the base years for the cumulative percentages? This is a bit naughty Kev, as you have already had a nibble at 10/11, but the answer is basically the same isnt it? in 10/11 the Tory/ Lib Dem coalition was in power and from 15/16 it has been the Conservatives. Good thorough answer. It could be summarised by one word: "Austerity". 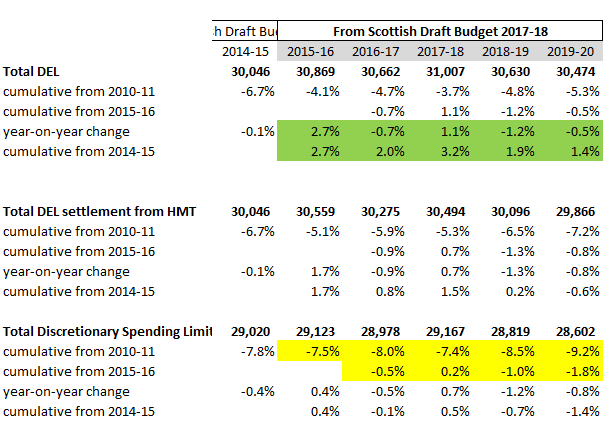 The layout is clearly to show the effect continuing Conservative austerity has on the declining funding for Scotland. Why anyone would want to contradict or brush off the blatantly obvious reported by countless thinktanks I don't know, but the rest of the UK is suffering also from Osborne's doomed austerity policy and from the looks of it, worse than Scotland because of the prudent handling of finances by the Scottish Government. 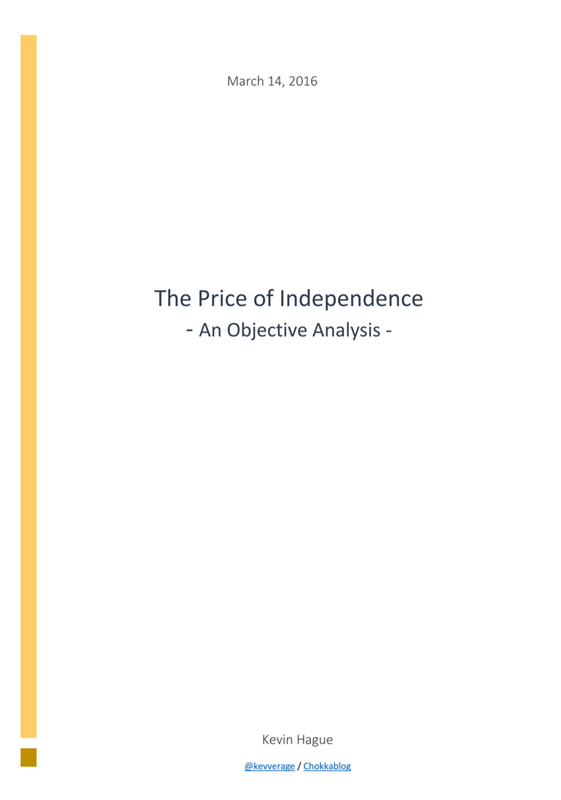 For the sake of the rest of the UK, and Scotland while we're still in the UK, I hope Hammond has the sense to reverse austerity and invest far greater sums of money in capital spending over the next 3 or 4 years, because the UK as a whole is going to need a far bigger boost to ride out Brexit. The UK will badly need CPR in more ways than one, but the appropriate one in terms of spend is Country Process Reengineering.